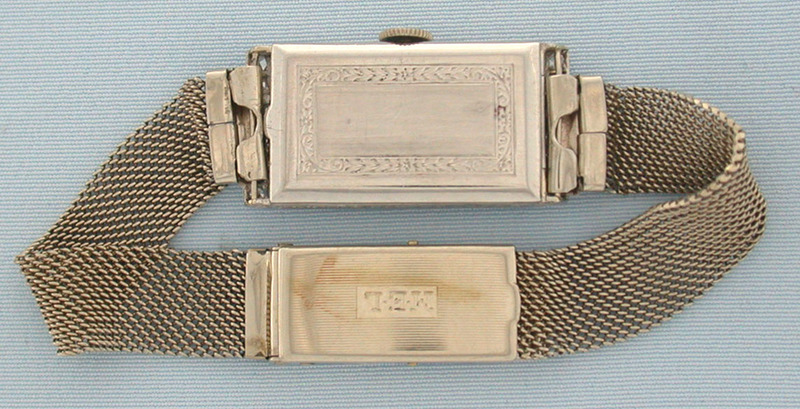 Fine Vacheron & Constantin diamond and platinum ladies vintage wrist watch with 14K white gold mesh band circa 1926. 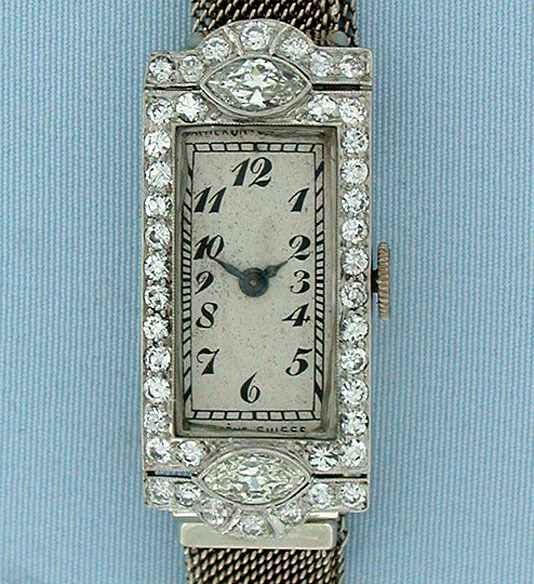 The case set with 42 small and two large marquise diamonds. Original champagne dial with hard black enamel numerals and markings. Nickel 18 jewel 5 adjustment movement.